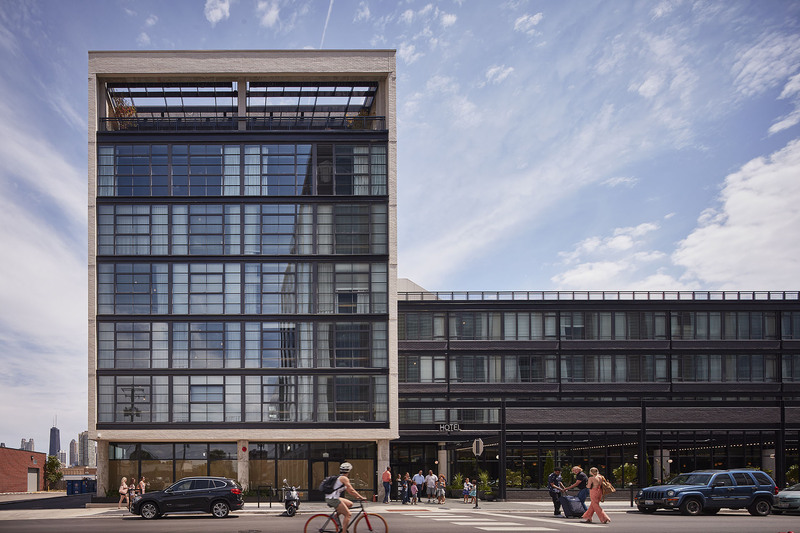 In Chicago, “there’s new build and a lot of adaptive reuse going on. What used to be fringe neighborhoods are where the younger people are moving to,” says Greg Randall; image courtesy of Tom Harris. “I moved to Chicago 30 years ago and never looked back. 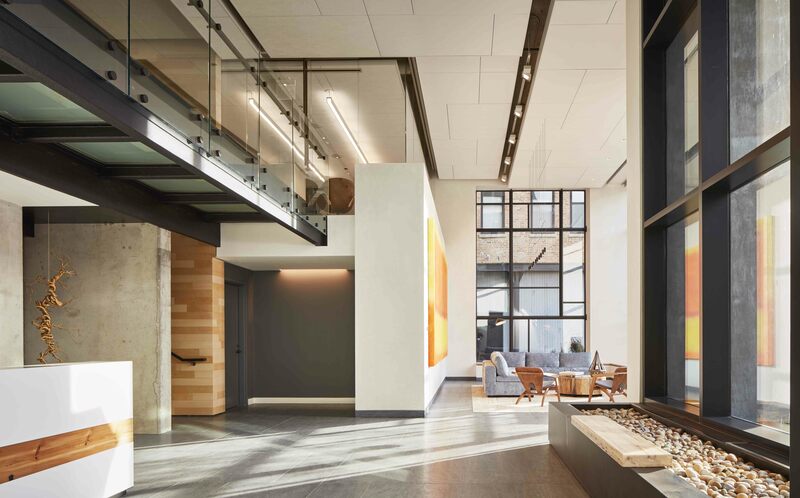 It is definitely an architecture-centric city and there is a certainly an awareness around that,” says Greg Randall, managing principal of GREC Architects, one of Architectural Record’s Top 300 Design Firms of 2018. 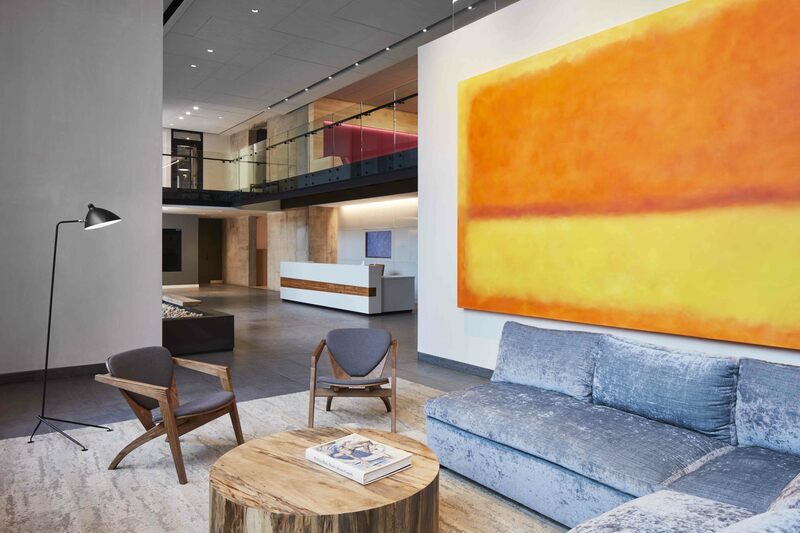 Guided by managing principals Greg Randall, Don Copper and David Ervin, the boutique firm specializes in architecture, interior design, planning and sustainable design services. GREC has worked on a number of projects in its own backyard including the high-profile Ace Hotel Chicago, Hoxton Hotel, the Condé Nast- Pitchfork offices at Merchandise Mart, the Xavier residential tower, Randolph Plaza Office Tower, Dearborn Plaza, the Sophy hotel, and the new Emme residential apartment building. GREC’s work also spans the globe with large-scale mixed-use projects throughout the U.S., Asia, Europe and Middle East including creating plans for the Abu Dhabi Art Park and Al Bateen Beach Club Park. Still, there’s something that particularly fascinates Randall when it comes to taking on new and adaptive reuse projects that add to Chitown skyline, and also pay homage to different neighborhoods’ unique histories and identities. “Fulton Market is on fire,” says Randall. 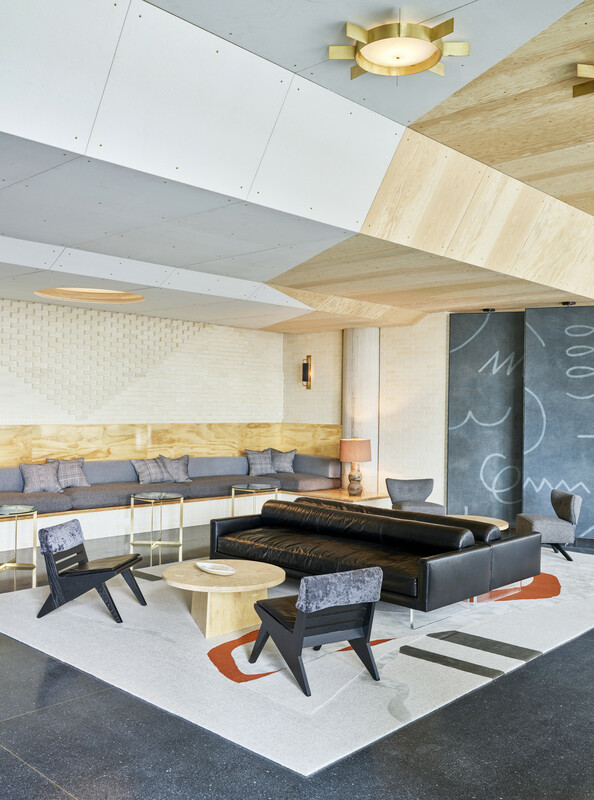 It’s home to the new Ace Hotel by GREC and Commune Design, as well as James Beard award-winning restaurants, Google’s Midwest HQ and McDonald’s HQ; image courtesy of Tom Harris. From GREC’s centrally located offices on N. Michigan Ave., Randall reflects on Windy City’s historical and contemporary relationship with architecture – from being the site of the very first steel high-rise, to ringing in the modernist movement with Bauhuas and Mies van der Rohe designs, to playing host to the bustling Chicago Architecture Biennial which drew over 500,000 visitors last year. 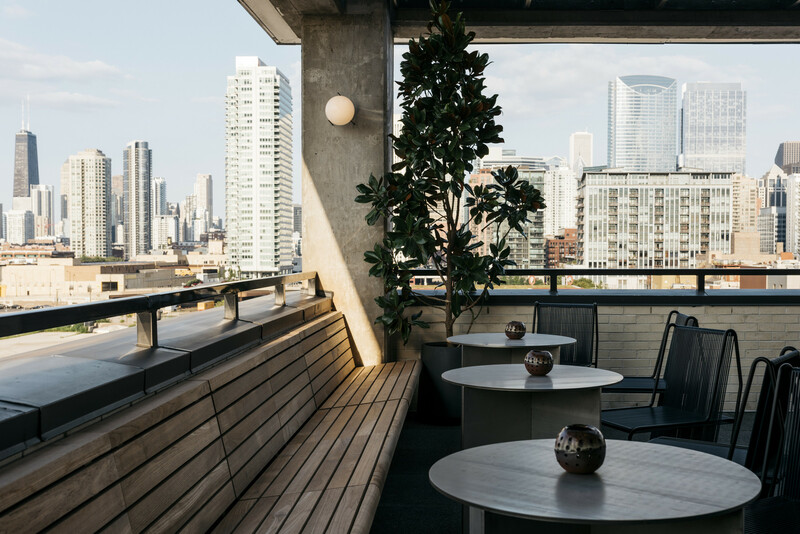 The rooftop bar at the new Ace Hotel offers a lively after-work meet up spot with strong margaritas and incredible views celebrating Chicago’s skyline; image courtesy of Spencer Lowell. 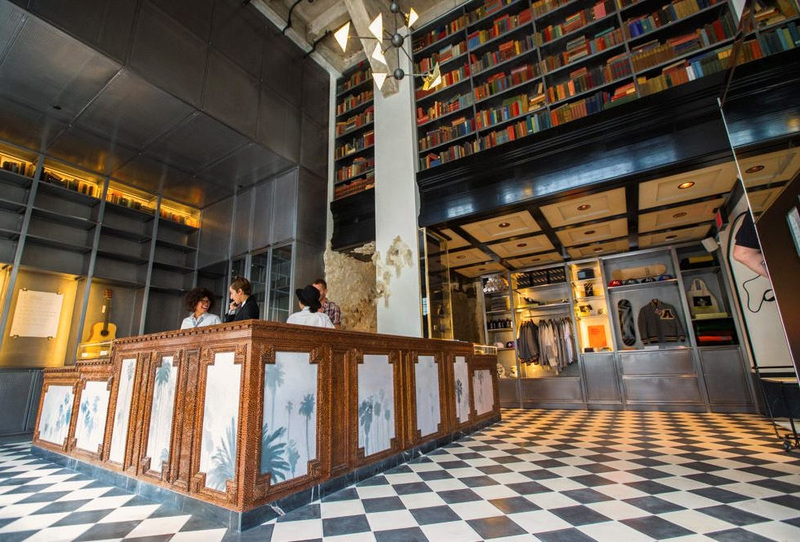 GREC honored the Ace Hotel brand aesthetic, but made it feel like Chicago too, celebrating craftsmanship, architecture history, mid-century modern design and local art; image courtesy of Tom Harris. “There’s new build and a lot of adaptive reuse going on. What used to be fringe neighborhoods are where the younger people are moving to,” says Randall, adding, “Fulton Market is on fire.” Home to James Beard award-winning restaurants, Google’s Midwest HQ, McDonald’s HQ, and the new Ace Hotel on Morgan St., it’s one of Chicago’s hottest destination districts. There, architects are striking a healthy balance between adapting old storage warehouses and creating brand-new structures that neatly contribute to the overall industrial “vibe” of the area. 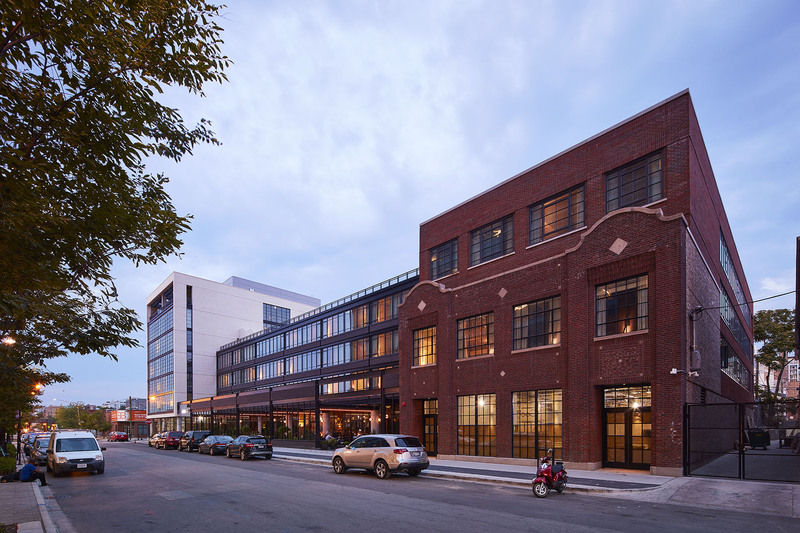 This past year, GREC completed the 159-room Ace Hotel, which was designed to look like a set of three small buildings with varied exteriors “rather than one big box.” While much of the block was condemned, GREC retained the historic redbrick façade of one of the buildings, a former cheese warehouse, integrating it into the new six-story structure. 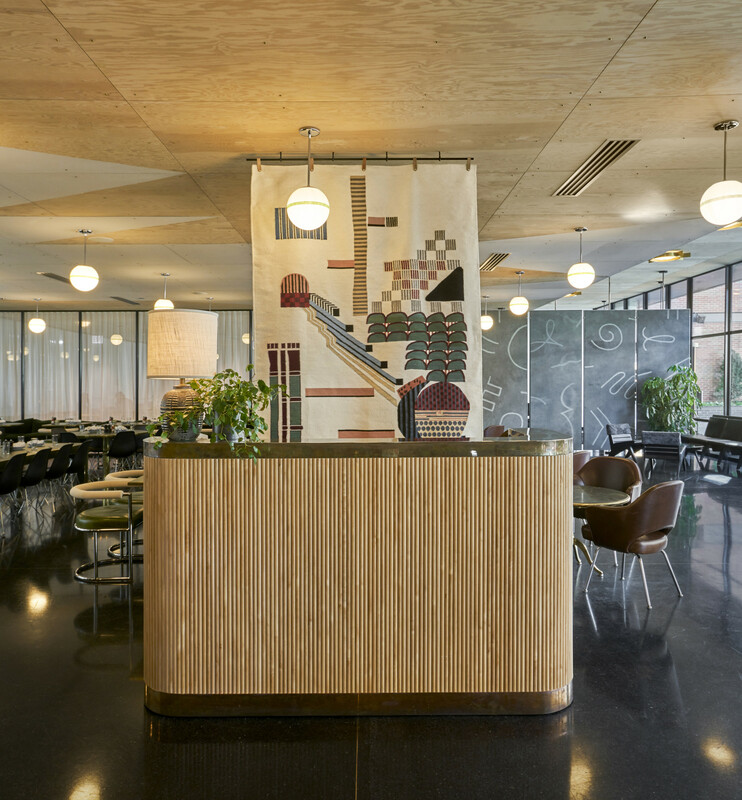 Commune furnished the Ace’s airy interiors with geometric surface patterns, vibrant velvet and plush leather seating, polished steel and bronze fixtures, and a selection of artwork from Chicago-based artists; image courtesy of Spencer Lowell. 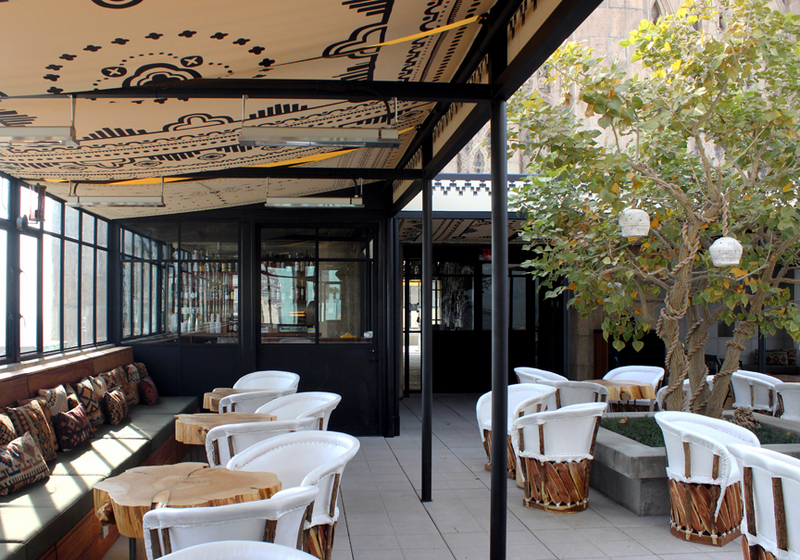 This marks GREC’s second project with the hip hotel chain. GREC first renovated the downtown L.A. outpost of the Ace inside the landmark United Artists Theater, built in 1927. As with the hotel’s L.A. edition, they knew had to speak to the Ace’s brand aesthetic, but make it feel like Chicago too, celebrating craftsmanship, architecture history, mid-century modern design, and the local arts scene through a collaboration with Volume Gallery. 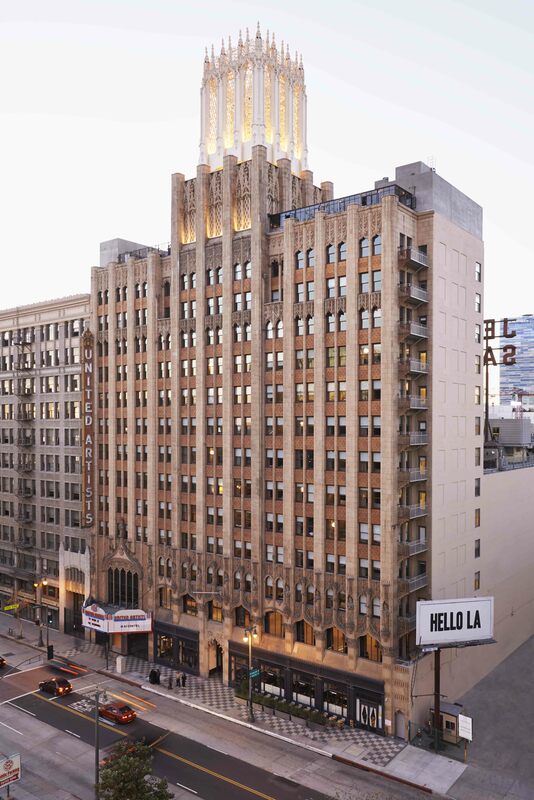 GREC worked on renovations for the Ace Hotel in downtown L.A. in what was once the United Artist Theater and tower; image courtesy of Spencer Lowell. “What they’re about is a lot of what we’re about too, in the sense of community and identity within the community,” Randall says of the Ace team. Ace’s founder Alexander Calderwood was still living when work was underway at the L.A. site. Together, GREC’s architects and Calderwood “spent a lot of time visioning, talking and literally just drinking coffee,” Randall smiles, “trying to figure out what this thing could be. 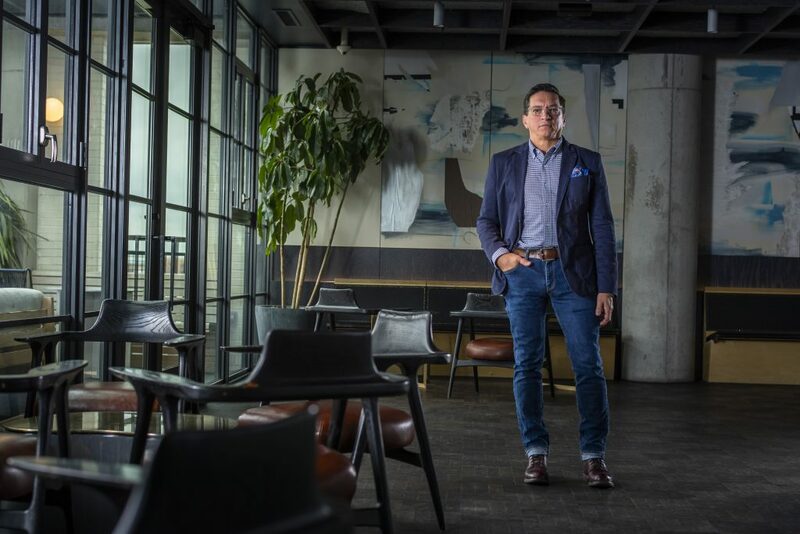 He was a great visionary.” Later, when a design competition was announced for a Chicago-based hotel with an Ace-esque aesthetic, GREC built upon its strong boutique hotel design experience, and was hired by the developer, who’d never built a hotel before. GREC and Commune Design collaborated on the Ace in DTLA before reuniting to design the Ace in Chicago; image courtesy of Spencer Lowell. When GREC was working on L.A.’s Ace Hotel, its visionary founder Alexander Calderwood was still living. The collaborators “spent a lot of time visioning… trying to figure out what this thing could be,” says Greg Randall; image courtesy of Spencer Lowell. The design concept was informed by the Bauhaus philosophy and the founding of The New Bauhaus in Chicago in 1937. From the outside, visitors are greeted with Bauhaus-influenced white tiles, ribbon-style horizontal fenestration on a white brick-clad wing, stark charcoal aluminum windows with floor-to-ceiling industrial sashes and a steel-framed screen that encloses a street-level patio. The hotel concept was inspired by the Bauhaus philosophy and the founding of The New Bauhaus in Chicago in 1937. These modernism vibes are felt at every turn with a sophisticated mix of high and low; image courtesy of Spencer Lowell. For the interiors, GREC worked with Commune Design (a frequent Ace collaborator). Randall says that while much of Commune’s aesthetic “has that SoCal feel to it that’s not appropriate for Chicago,” the designers have a deep understanding of Calderwood’s vision, and succeeded in creating an environment that highlights Chicago culture for visitors and locals alike. Designers opted for an interesting mix of warm woods including a plywood-clad elevator, patterned plywood and fiberboard lobby ceilings, and a custom DJ booth made of sand mixed with resin; terrazzo floors; floor-to-ceiling windows opening up to cityscape views; sharp blue, green and gray geometric surface patterns; vibrant velvet furnishings in deep yellows and purples; polished steel and bronze fixtures; abstract canvas wall panels by Erik DeBat and hanging patterned textiles by Tanya Aguiñiga; and a selection of Chicago-centric vinyl records. 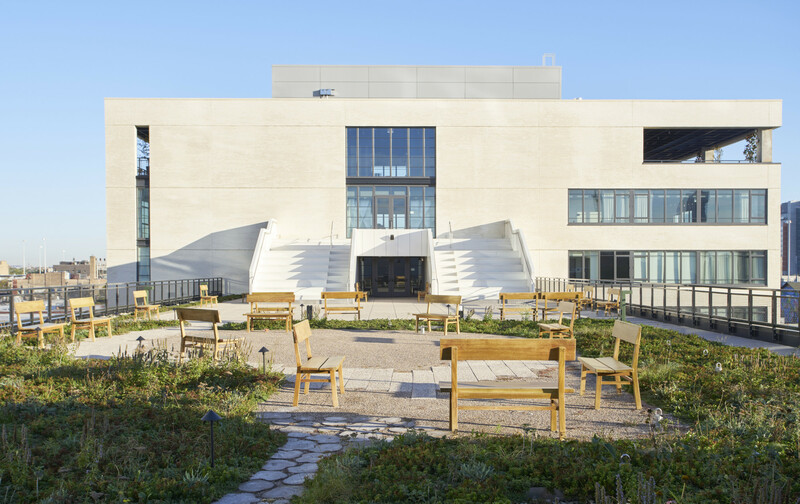 The Ace’s landscaped rooftop provides great views of downtown Chicago for guests and doubles as an event space; image courtesy of Spencer Lowell. The night Randall leads a tour of the new Ace, the hotel is completely sold out, and what’s more, the rooftop bar is swarmed with mostly young professionals who are off the clock, while downstairs, the restaurant City Mouse is packed too, with diners eager to dig into an appetizer of fried cheddar with corn puree, topped with caviar and caramel. It’s an urban, new-age take on Midwest cuisine that certainly makes for a good headline. 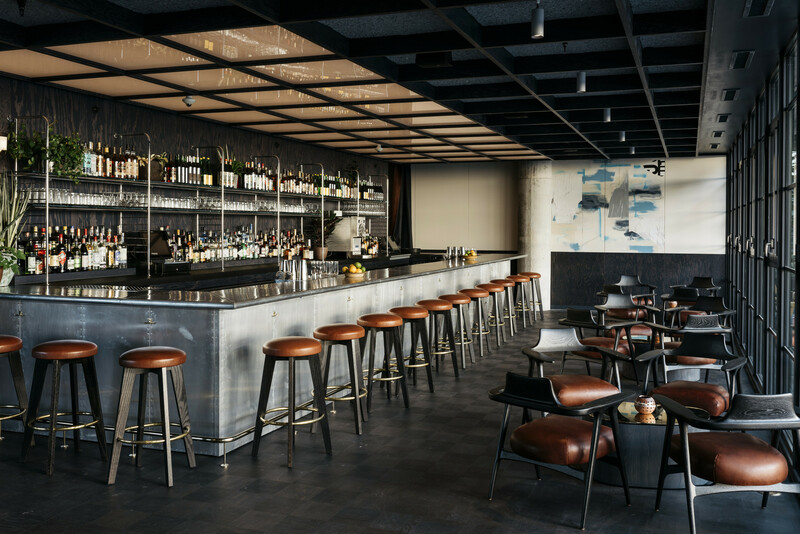 Set inside a former cheese warehouse, the Ace Hotel maintains an industrial, urban vibe through its mix of materials like redbrick, steel, plywood, concrete, brass and leather; image courtesy of Spencer Lowell. 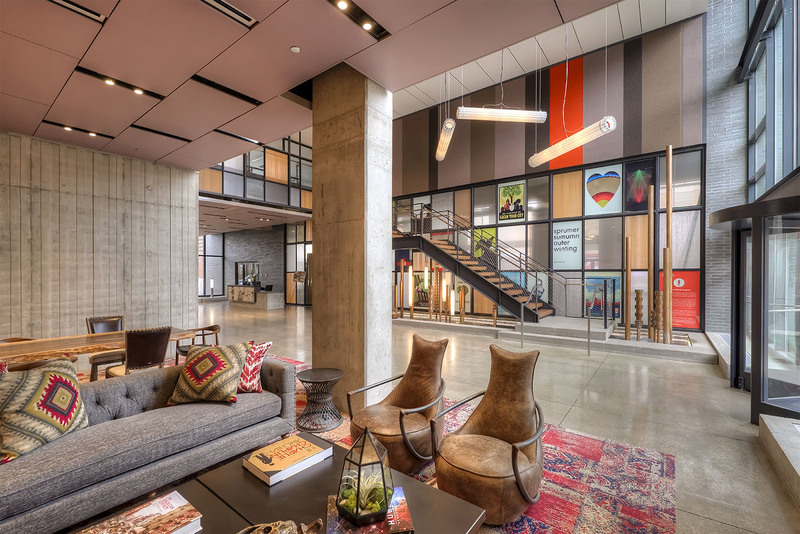 Hospitality developers are also responding to the market demand to create lifestyle-driven, “staycation”-like experiences that include design details that establish a city’s sense of place and culture for visitors. 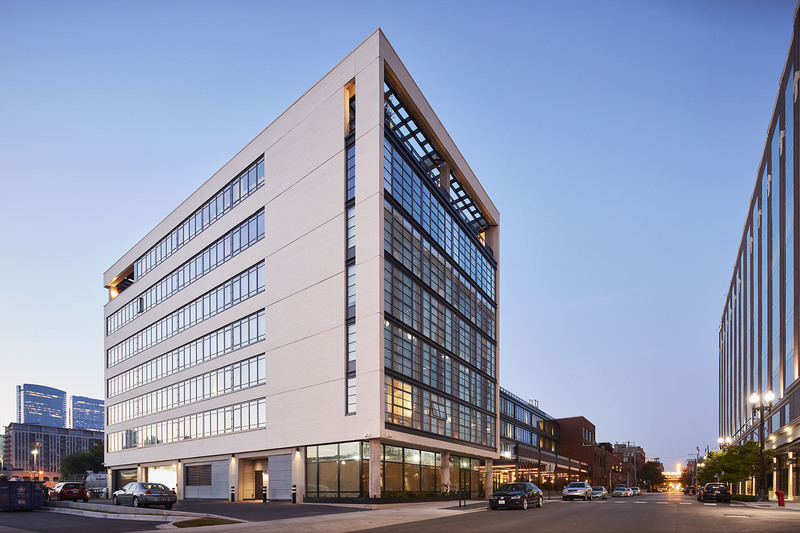 GREC designed the LEED Gold Certified Emme apartments with the intent of creating a sustainable oasis within the urban context of Chicago’s West Loop; images courtesy of Tom Harris. Randall notes that while unit sizes tend to be scaled on the smaller side, more than ever, they’re impressively organized with fantastic communal perks like a great pool deck experience. Hospitality developers are also responding to the market demand to create lifestyle-driven, “staycation”-like experiences that include design details that establish a city’s sense of place and culture for visitors. Xavier is the tallest building within a half-mile, offering striking views of Chicago’s Loop, Lakefront and North Side; image courtesy of Steve Somen. “I’d like to think that we’re a part of that whole shift,” says Randall, who explains, “it happens in the workplace as well… that hospitality, concierge-level of experience is permeating in all different segments, which I think is great.” GREC worked on the new joint operations office of media giant Condé Nast and Pitckfork, the brand’s music media company, which takes over a full floor inside the iconic Merchandise Mart. The workplace features an open workspace, lounge seating, polished concrete floors, brass accents, abundant natural light and great views, a stage for performers, and shelving to store magazines and provide acoustical benefits. Spaces like the Condé Nast-Pitchfork office, the Ace Hotel or the West Loop’s modern luxury Emme apartments, “need to reflect how we live,” Randall points out. 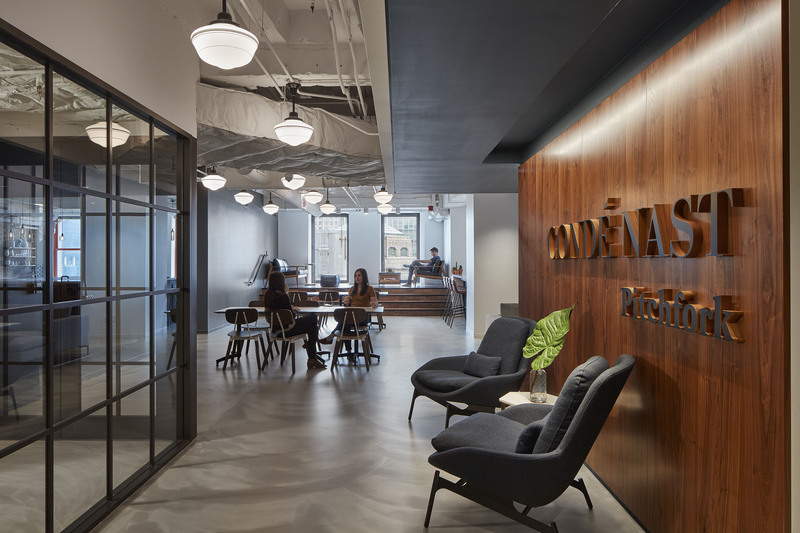 GREC designed the cool, joint operations office of media giant Condé Nast and Pitckfork, the brand’s music media company, inside Chicago’s Merchandise Mart; image courtesy of Tom Harris. Before joining forces and moving into a full floor of the iconic Merchandise Mart, Pitchfork’s offices were inside a garage while Condé Nast’s were inside the John Hancock Center; image courtesy of Tom Harris. With social spaces, he says, “blending and merging lifestyles is important.” For instance, at Xavier, a LEED Gold Certified residential apartment building by GREC, posters from a design competition adorn a glass wall. Behind that, there’s a retail space – the wall opens up under a set of stairs so that the retailer can truly be part of the lobby and connect with residents. At Emme, another LEED Gold project by GREC, the wellness-inspired, green-minded lifestyle is celebrated – over 8,000-sq.-ft. of the roof will be dedicated to urban farming and the kitchen will be programmed, for instance, around tomatoes harvested from the rooftop crop. Residents enjoy landscaping that uses native plants, communal fire pits, a demo kitchen, a yoga studio, and an indoor-outdoor dog play space. 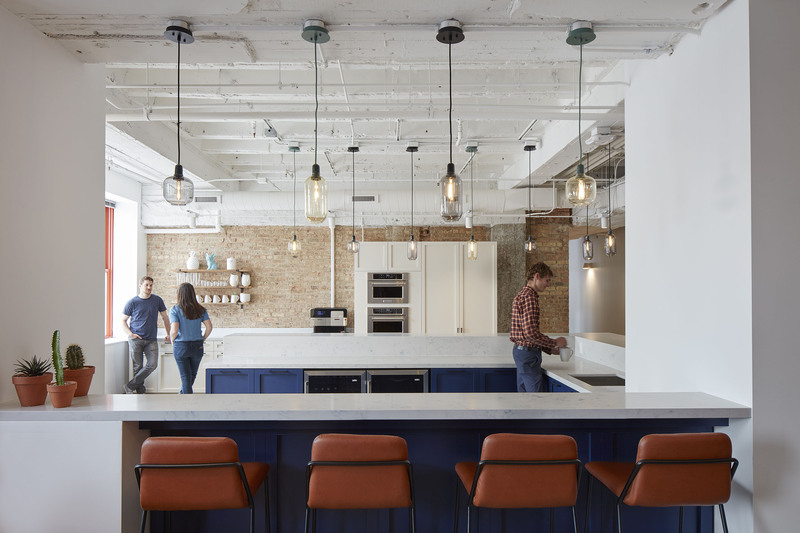 The Condé Nast-Pitchfork offices feature polished concrete floors, brass accents, lounge seating, abundant natural light, an open workspace, a stage for performers and shelving to store magazines and provide acoustical benefits; image courtesy of Tom Harris. This eco-awareness is also present at GREC’s offices, where sustainability is “fundamental and built in to what we do in terms of good practice.” The long table Randall sits at is made of wood reclaimed from urban trees by a local group, Icon Modern. 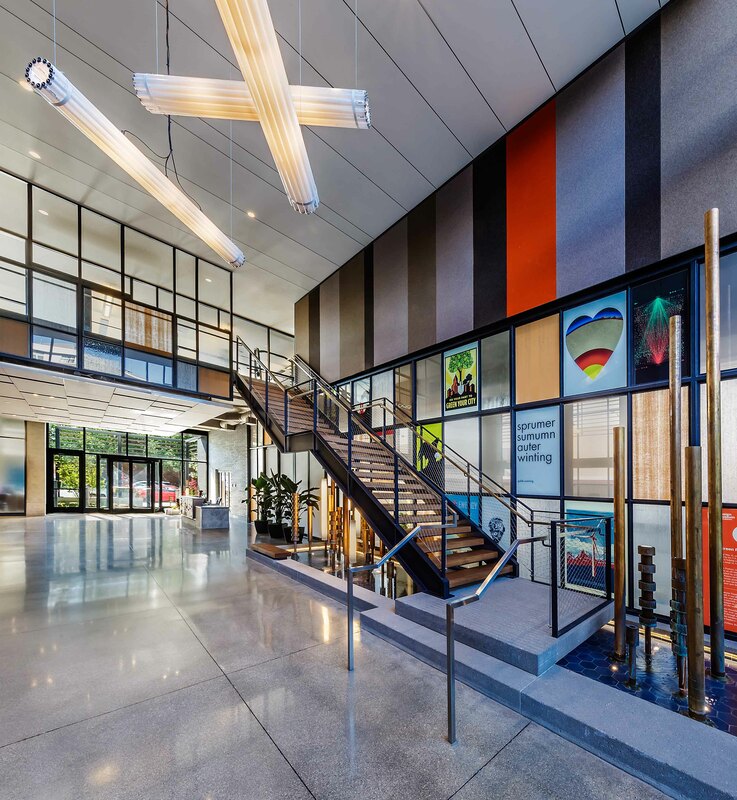 This main lobby area boasts ceilings by Hunter Douglas Architectural at the LEED Gold Certified Xavier Apartments by GREC; image courtesy of Mark Ballogg. To meet the GREC team, click here, and to see more of the firm’s architectural portfolio, click here.